I joined Barlow Robbins in 2006 and bring considerable knowledge and experience as a family lawyer, having specialised in this area for almost 30 years. I practise exclusively as a mediator assisting couples and families when relationships break down and work in a way to help preserve people’s dignity. I grasp the issues quickly and have a high success rate. I am experienced in dealing with the arrangements for children and resolving financial aspects. Also qualified in Direct Consultation with Children I am qualified to meet separately with a couple's child or children to ascertain their wishes and feelings. Until recently I was a co-director of the Family Mediation Council. Having served nine years as a co-director of Resolution and ‘in recognition of outstanding work to support separating families’ I was awarded the Resolution John Cornwell Award for 2016. I am divorced with a teenage son. Football is my big passion; I am a season ticket holder of west London club Queens Park Rangers. I am also involved in grass roots youth football as welfare officer at Milford Pumas Youth FC. Karen Barham at Barlow Robbins LLP is a ‘creative and intelligent mediator who relaxes the clients and can cloak tough subjects in artful imagery. If Karen cannot mediate a matter then it is incapable of being resolved amicably. She goes above and beyond and has an amazing success rate’. Her practice is exclusively as a mediator to assist couples and families when relationships break down. She is also qualified to consult directly with children. 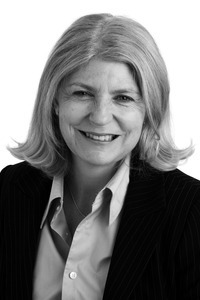 Karen Barham practises exclusively as a family law mediator, and is qualified to consult with children. Karen Barham "knows the law inside out and is also very warm, empathetic and puts people at ease"